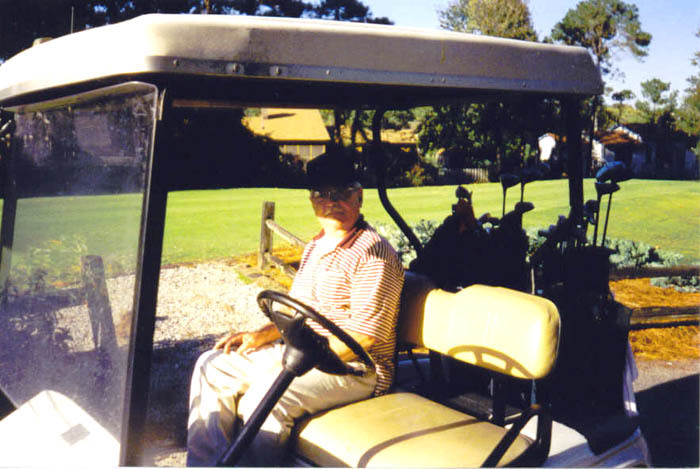 2001 - Even today TM1(SS) Gail Diamond (Plankowner) fits in his blues. 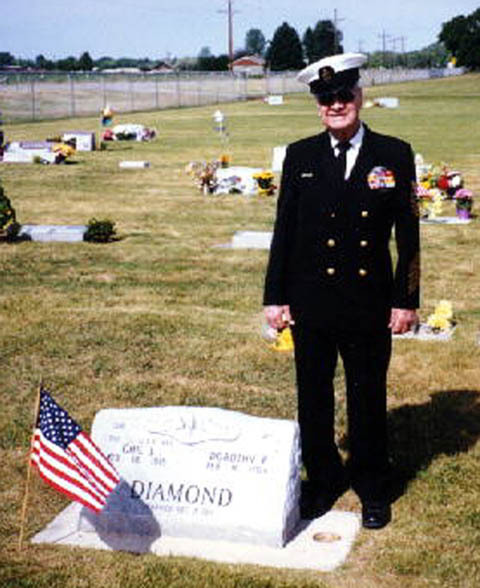 Gail departed on Eternal Patrol in Dec 2005 (Diamond) (c01d0069). 2001 - Maurice V. Threinen FN(SS) in 1945 (Threinen) (c01t0393). 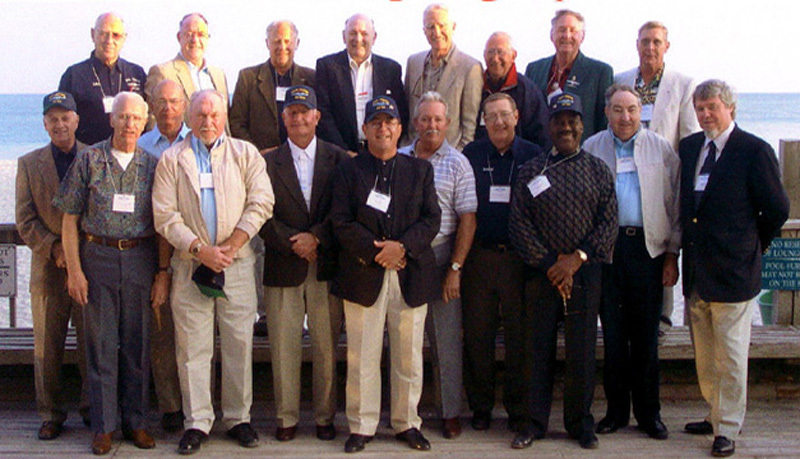 Reunion 2001 - Send the names to Stan (Brooks) (r01b0570). 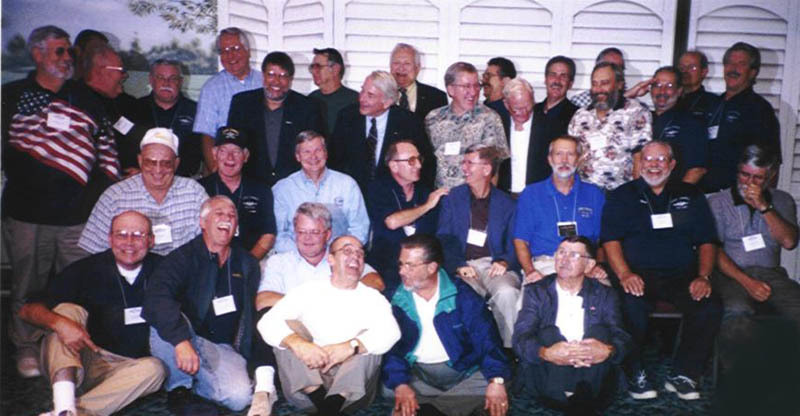 Reunion 2001 - unknown- send the names to Stan (Brooks) (r01b0572). 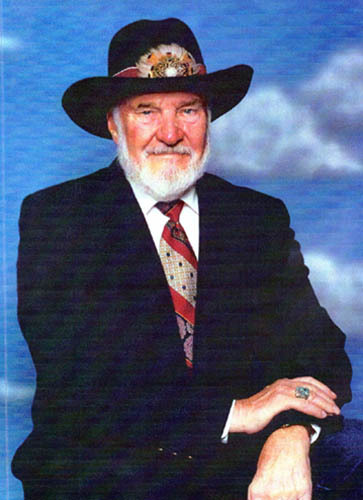 Reunion 2001 - Gerald Smith 65-66 (Brooks) (r01b0577). 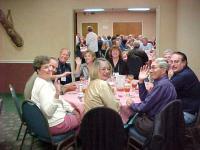 Reunion 2001 - ENC(SS) Myrl Grady (59-64) from Jacksonville Beach, FL. 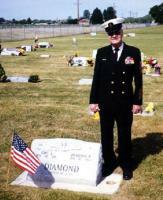 departed on Eternal Patrol 11 August 2002. 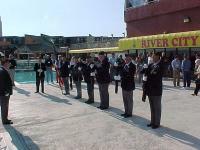 Sailor, rest your oars (Kiel) (r01k0272). 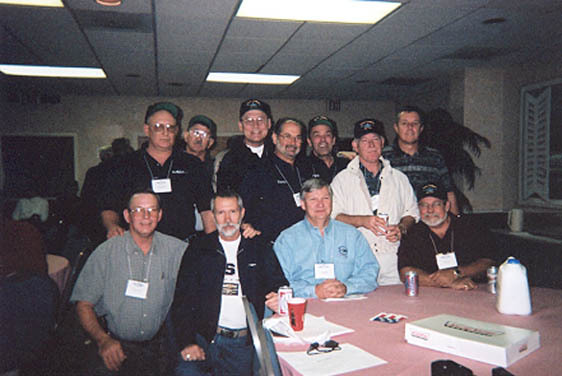 Reunion 2001 - Obviously the best looking, smartest, and certainly the happiest crew that ever manned CHIVO was the "Young Goats," Capt Young's crew 68 to 70 (McAleer) (r01m0456). 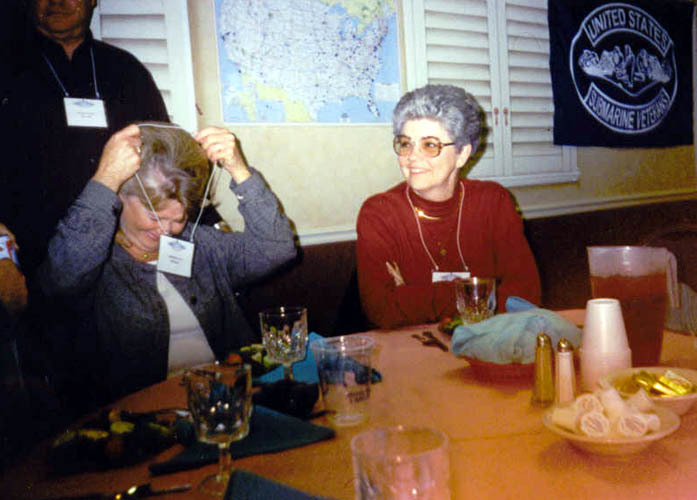 Individual year groups at reunion 2001 (Murn) (r01p0205). 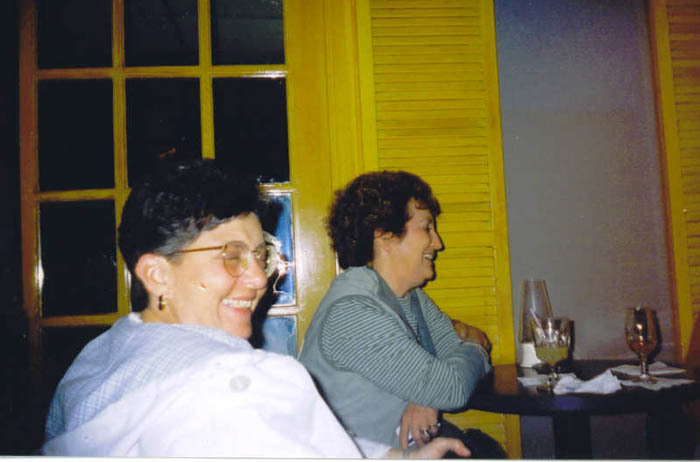 Reunion 2001 - After Battery Battery table # 7 (Rainwater) (r01r0338). 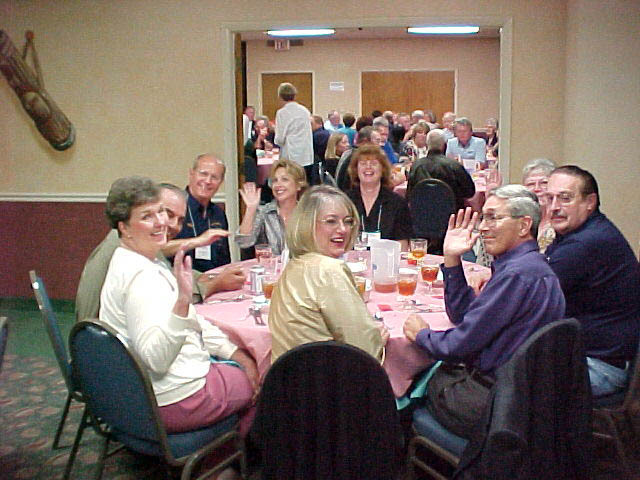 Reunion 2001 - After Battery Battery table # 6 (Rainwater) (r01r0339). 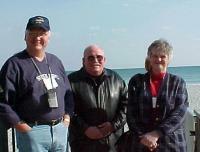 Reunion 2001 - The "Young Goat Boaters"- L to R - standing - Chuck Downs Jeter Brock, Lynn Moore, Frances Daigle, Chick McAleer, Larry Hendrix, and Willie Taylor. Sitting - Bill Mangum, Mike Rainwater, David Grey, and Stanley Stiles (Rainwater) (r01r0344). 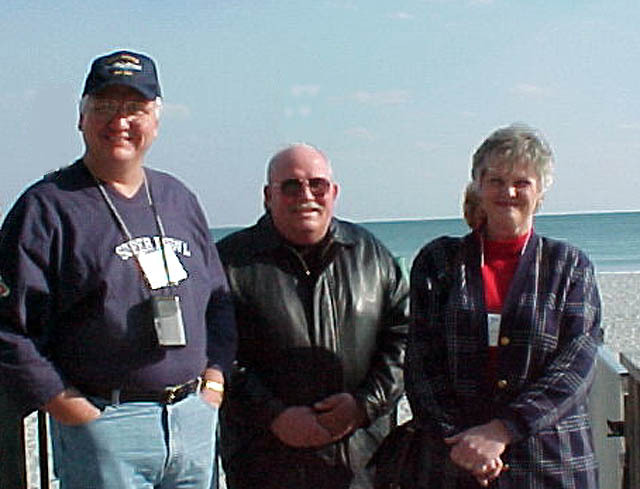 Reunion 01 - Herb Neilson, Larry Emanuelson, and Shirley Neilson (Stoops) (r01s0214). 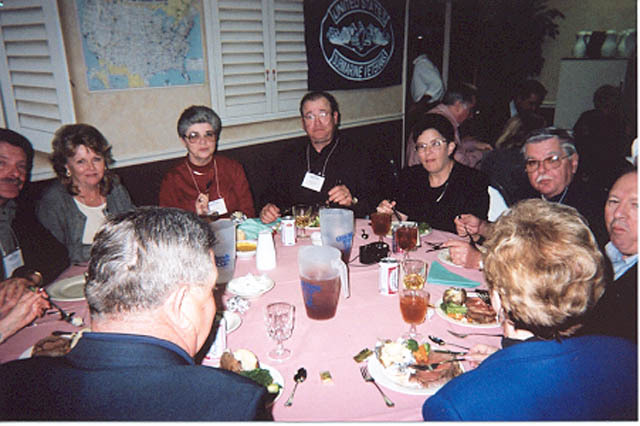 Reunion 01 - Forward Battery table #1 (help Stan with the names) (Stoops) (r01s0215). 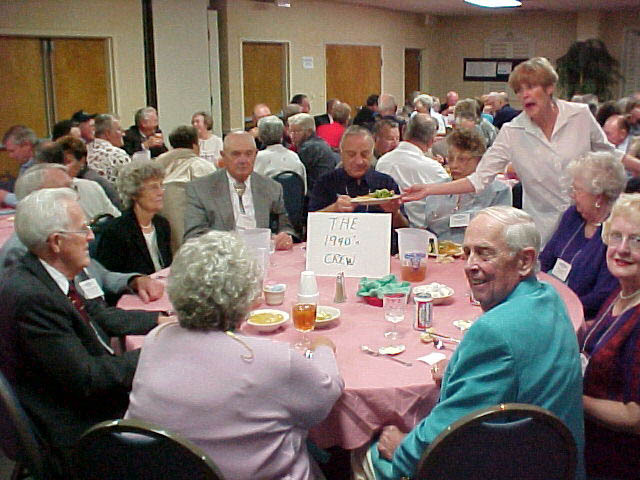 Reunion 01 - After Battery table #16 (help Stan with the names) (Stoops) (r01s0216). 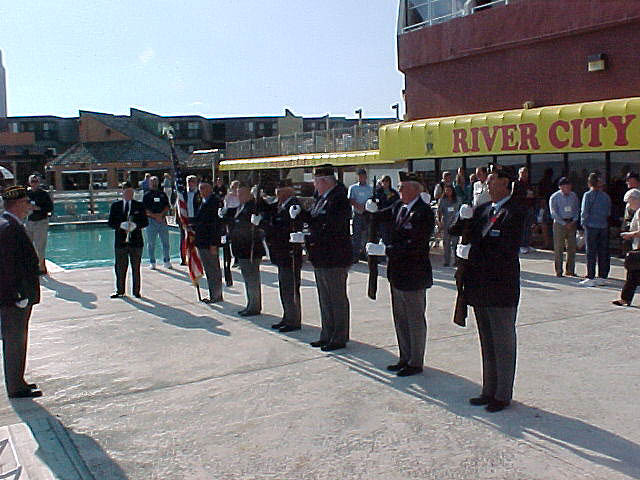 Reunion 01 - The Grand Strand Patriotic Alliance, made up of disabled veterans, rendered honors to our departed shipmates with a twenty one gun salute, TAPS, and the bosun pipe (Stoops) (r01s0220).